On January 25, 2017, the United States Court of Appeals for the Fourth Circuit, which governs cases pending in North Carolina, issued two opinions which serve to clarify and expand the circumstances under which entities may be held liable as joint employers under the Fair Labor Standards Act (FLSA). In the case of Salinas v. Commercial Interiors, Inc., a group of drywall installers for J.I. General Contractors (J.I. ), sued both J.I. and Commercial Interiors, a general contracting company for which J.I. served as a subcontractor, for wage and hour violations under the FLSA, claiming that both companies jointly employed them. Finding that J.I. and Commercial Interiors had entered into a “traditionally . . . recognized,” legitimate contractor-subcontractor relationship and that Commercial Interiors “did not intend to avoid compliance with the FLSA, the United States District Court in Maryland granted Commercial Interiors’ motion for summary judgment. Whether formally or as a matter of practice, the putative joint employers jointly determine, share, or allocate responsibility over functions ordinarily carried out by an employer, such as handling payroll; providing workers’ compensation insurance; paying payroll taxes; or providing the facilities, equipment, tools, or materials necessary to complete the work. The 4th Circuit emphasized that no one factor is controlling and that the six factors do not constitute an exclusive list of all potentially relevant considerations. Further, the determination of whether such factors constitute joint employment “must be based upon the circumstances of the whole activity” and need not depend upon proof that a majority of the above factors are present. Despite Commercial Interiors’ argument that a finding of joint employment would undermine the traditional and time-honored contractor-subcontractor relationship, the 4th Circuit held that under the circumstances presented, the two entities are joint employers for purposes of FLSA liability. The facts were not favorable to Commercial Interiors’ position that they should not be held liable as a joint employer of J.I.’s employees. The installers performed nearly all of their work on job sites for Commercial Interiors’ benefit; Commercial Interiors provided the tools, materials, and equipment necessary for the installers’ work; and Commercial Interiors actively supervised the installers’ work on a daily basis. Commercial Interiors also required the installers to attend frequent meetings and to sign in and out each day, required J.I. managers to wear clothing branded with the Commercial Interiors logo and rented a house near the job site for J.I. employees to stay while they worked on one of the projects. The effect of holding entities jointly liable under the FLSA is that both employers are responsible, jointly and severally, for complying with the wage and hour protections provided by the FLSA. Accordingly, a worker’s employment by joint employers is treated as “one employment” for purposes of compliance, including the aggregating of hours worked for each employer in order to determine whether and to what extent the worker is entitled to payment of overtime compensation. It is evident that joint employment is an issue of paramount concern to federal courts and agencies in today’s flexible gig economy. While different tests have been applied by federal courts throughout the country and exhibit some inconsistencies in evaluating joint employment under the FLSA, Title VII, and other federal laws, the 4th Circuit’s approach is consistent with the United States Department of Labor’s Administrative Interpretation that was issued in 2016 which served to expand the definition of joint employment under the FLSA. While the facts in the Salinas case were clearly not favorable to Commercial Interiors, what these two decisions left unanswered is whether a scenario in which control over the other entity’s workers is theoretically reserved, but not exercised, by the putative joint employer would tilt the balance in favor of holding the putative joint employer liable for wage and hour violations. Given the 4th Circuit’s broad approach, employers would be wise not to rely upon traditionally recognized business relationships as sufficient protection from a claim of joint employment. 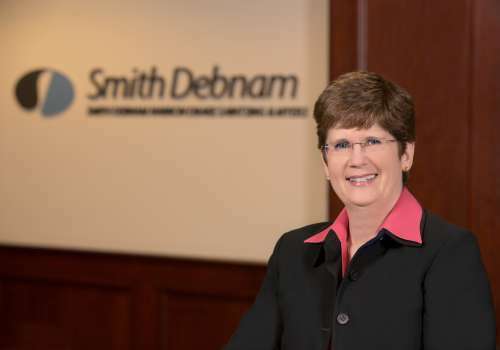 If you have questions regarding these court decisions or other legal issues, please feel free to contact Connie Carrigan at ccarrigan@smithdebnamlaw.com.